Sonny comes from an extended family of musicians. His mother Gloria was a talented singer and his father Frank was a song writer and professional piano player. Sonny began playing piano at seven years old when his father started giving him lessons based on the traditional piano instruction method. After studying classical music for a couple of years, he learned the chord method of piano playing and thereafter, began developing the ability to play and enjoy pop, rock, and jazz music. He always had a knack for improvising and through the years studied with an assortment of teachers but it wasn’t until he studied with New York City Master Jazz Improvisation Teacher and Artist, Connie Crothers, a student and colleague of the late, great Jazz Pianist, Lennie Tristano, that he broke through to becoming the piano player that he is today. His love affair with pianos dates back to the German Upright and Chickering Baby Grand Pianos that his parents owned and he played while growing up in their household. The first grand piano he himself owned was an 1892, 6’3″ Chickering Grand Piano. The sublime tone and responsive action of this classic piano so impressed him that he immediately became intrigued with the world of pianos. 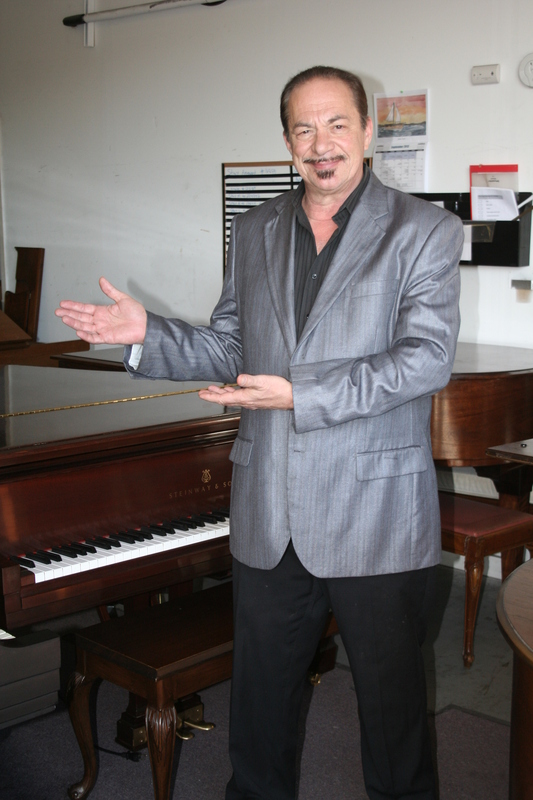 Over the last ten years, Sonny has helped facilitate the buying and selling of numerous great, well-made, American crafted pianos throughout the Long Island and New York metropolitan area. He prides himself on finding the right piano for each person that comes to him for assistance. Along with being a musician, Sonny has had an extensive career in the health, fitness, wellness, sports medicine and stress-management fields. As a child Sonny suffered from a crippling case of asthma. Over a period of five years, he experienced frequent serious attacks. But at the age of 10, his mother brought him to Doctor Irma Urbano, who put him on a nightly regimen of stretching, diaphragmatic breathing and relaxation exercises. After just two months of doing this regimen he was cured. He realized the healing, therapeutic, life-renewing, energy-enhancing benefits of these kinds of methods and continued doing his routine every night thereafter. As a result of learning how to breathe diaphragmatically and to relax, Sonny went on as a teenager to become a champion baseball and track athlete. He was the Captain of the X-Country, Indoor and Outdoor Track Teams at Carey H.S. in Franklin Square, NY where he won MVP awards and still holds the half mile record. He earned a full tuition athletic track scholarship to Adelphi University where he graduated with a degree in History Education. After graduating, he studied all forms of exercise, relaxation training and stress reduction so that he could better understand and help others with these kinds of techniques. A few years later, he earned his masters degree in Exercise Physiology from Adelphi University. As a corporate stress & fitness consultant, yoga teacher, sports coach, sports medicine clinician, stress management consultant and exercise teacher, he has helped thousands of children and adults to reduce stress and anxiety, improve health, enhance classroom and sports performance and enjoy a more relaxed life and a greater sense of well being. His piano playing and teaching methods are also based on the ability to breathe diaphragmatically, relax, get into the flow, enjoy and let go. Sonny’s Play Piano Instantly Video Program is a result of his experience with successfully teaching children and adults over a seven year period at Sonny’s Piano Studio. He feels that piano playing is a wonderful, therapeutic, life-enhancing, stress-reducing vehicle that everyone can enjoy. Florence and I would like to thank you for finding our Behning art case baby grand piano. When our search began we were very confused, we knew we wanted a beautiful baby grand to finish our newly redecorated living room, but we didn’t know where to start. After our decorator in Sayville referred you to us, we knew at our first meeting how passionate you were about music and pianos. After spending many days looking at many different pianos in various price ranges our search brought us to your studio in Patchogue. The minute my wife saw the Behning she knew this was the one. The piano was in amazing condition for a piano built in 1927. But the perfectionist that I am I wanted it to look like it came out of the showroom. Well I must say your crew did an amazing restoration that far exceeded my expectations. The delivery process was flawless, it was actually a memorable day, like we had brought home a new member of the family. Like you said Sonny “the piano angels” found the perfect match for us. Thank you so much for the follow up service visit. I can tell you and anyone considering doing business with you, that I am 100% satisfied. I could never part with this piano at any price offered to me. Everyone who comes into my home is completely blown away by our beautiful baby grand. And Sonny don’t forget our deal, you have to come and play for us at our first holiday party.